Every time I’ve used my debit card to buy something or withdraw cash from an ATM over the past couple of weeks, my Apple Watch has instantly buzzed to give me a running total of how much I’ve spent so far that day. It feels like I’m living in the future of money management – and maybe I am. I’ve been trying out Mondo, a service from a UK startup that is cooking up a fresh take on banking. 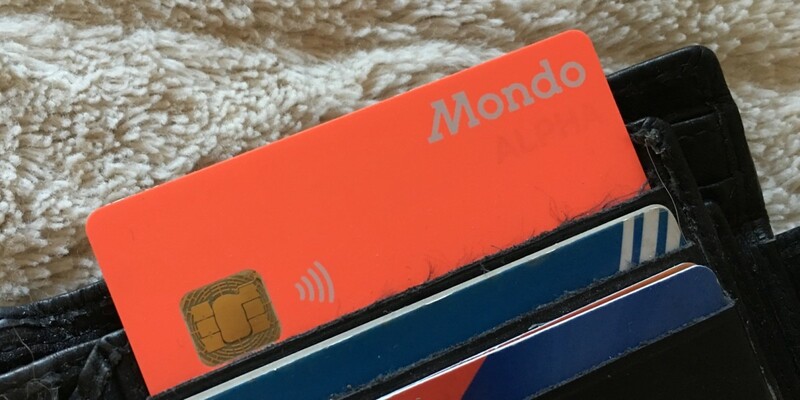 Mondo isn’t a legally-registered bank yet, but its alpha service is currently up and running with a few thousand testers in the UK. So far, functionality is very limited, but it’s enough to keep me using it and looking forward to what it could become. Here’s how it works: you load your Mondo account up with cash, and then spend it via the debit card you get given when you sign up. The benefit here is the running spending total it gives you in the accompanying iOS app. You can tap on any transaction and see exactly where it took place, and add notes and a photo of a receipt for expenses purposes if you need to. Mondo offers details of your spending, including average spend with every company you buy from. Each transaction is automatically tagged (you can edit the tags if it gets something wrong), which means you can check how you’ve been spending money on groceries or transport. A powerful search feature allows you to also check your spending in specific locations (useful if you go on a trip away) or over/below a certain amount. Mondo is currently an incredibly useful spending tracker, but CEO Tom Blomfield has ambitious plans to make his app the center of your financial life. While it plans to be able to offer fully-regulated bank accounts with sort codes and account numbers by the end of the year, Mondo won’t be directly getting into other areas of financial services, like loans. Instead, Blomfield sees the app as an ideal marketplace for others to offer those products to users. Blomfield is a seasoned fintech entrepreneur. He previously co-founded successful B2B direct debit processing startup GoCardless, but Mondo represents his attempt to build something his family and friends can use and relate to. He wants it to be one of the few, highly useful apps people allow onto the homescreen of their phone and open every day. I’ve certainly kept a closer eye on my spending since I started using Mondo, simply because it’s so easy to do. The frustrations of traditional banking were an inspiration to the startup’s founders. Silly things like going abroad only to find your card blocked and having to phone back to your home country and go through a lengthy security process just to be able to use an ATM. My Apple Watch taps my wrist as any transaction is approved, and before cash has even left the ATM. Mondo wants to start afresh and approach these situations from a 21st century native perspective. That’s not to say it won’t take security seriously – it just wants to make things as easy as possible for the user. Mondo is far from the only company building a simpler future for banking. BBVA-owned Simple was an early mover in the US, and European contenders include Berlin’s Number26, which is already live in a number of countries (not including the UK) and offers a very similar service. However, while Number26 works as a layer on top of partner banks, Mondo is going to be a ‘full-stack’ bank in its own right, with its own license and back-end technology. Still, even as a bank built from scratch, Mondo isn’t quite as ambitious as CNET-founder Halsey Minor’s currency-agnostic, ‘cloud-based bank’ Uphold. You can read more about that in our profile of Minor. Mondo company raised a £2 million ($2.9 million) seed round from Passion Capital last summer and is now raising additional funds to develop its product via a new £6 million ($8.6 million) round also led by Passion Capital. £1 million ($1.4 million) of that amount will be raised on equity-based crowdfunding site Crowdcube. The campaign launches in two weeks, on March 1, although there’s a pre-registration page for those who want to put money in a day earlier, on February 29. If you’re based in the UK and are interested in trying Mondo without participating in the crowdfunding campaign, you’ll need to sign up to the wait list on its website, or wait for the full launch which is anticipated to occur towards the end of this year.